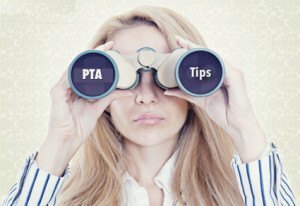 Becoming a PTA may be an excellent choice in this dynamic job market. PTAs enjoy a well-compensated and secure career with a variety of excellent options for further professional development. In addition, PTAs enjoy a great deal of respect from their fellow healthcare professionals and the general public alike. Physical therapists, PTAs and physical therapy aides have all found themselves in growing demand in facilities ranging from local rehabilitation clinics to outpatient treatment centers. More importantly, the number of available PTA positions are expected to expand by at least 41 percent by 2022. This represents a dramatic increase that is far greater than the average rate of job creation in the United States. Finally, PTAs enjoy excellent salary options. The annual median wage for a full-time PTA employee in America was over $52,000. In addition, many PTA positions offer excellent benefits for the employee and their family alike. When compared to other positions with similar educational and licensure requirements, PTAs enjoy comparable or superior salaries. However, despite the promising job market for PTAs, it is vital that the candidate ensure that he or she makes a favorable impression during the job interview. By following these steps, the candidate can demonstrate that he or she would be an asset to the potential employer. • Have any required documentation. • Be knowledgeable about the employer. • Don not be afraid to ask questions. It is important to plan to arrive to the interview location before the interview is scheduled to begin. In many cases, it may take some time to check in with the secretary or to find a parking spot. In addition, unexpected traffic conditions or other delays can result in the candidate arriving at the interview site later than he or she intended. By planning to arrive early, the candidate will reduce the chance that he or she will be late to the interview. In addition, arriving early shows that the candidate understands how important the job interview is. This can often impress the interviewer even before the interview has started. A PTA is not simply a medical professional, but also represents his or her employer to the public. For this reason, the PTA should always wear business appropriate clothes to the job interview. In many cases, the interviewer’s initial impressions may be based on the candidate’s clothing choices, making it very important that the candidate choose appropriate attire for the interview. The candidate should have all information needed for the interview. In addition, many businesses require the candidate to provide this information before the job interview is scheduled. Providing incomplete or incorrect information may lead to the applicant being rejected before he or she is even interviewed for the job. For this reason, providing the correct information in a timely fashion is vital in order to maximize the probability that the candidate will obtain the job. The candidate should follow any instructions to the letter. For example, many businesses will not accept transcripts from the applicant. Rather, they require that the applicant have his or her school send the official transcripts and proof of graduation directly to the company’s human resources (HR) office. Failing to do so may find the application rejected without any further warning. The applicant should also ensure that he or she uses the company’s preferred format. While a growing number of businesses will accept electronic documents, many other companies will only accept physical documentation during the application process. Finally, the applicant should clearly identify every page of his or her information with the page number and the applicant’s name. This reduces the chance that some or all of the applicant’s documentation will be lost during its processing. It is important to be fully informed about the potential employer and interviewer alike. By doing so, the candidate can demonstrate that he or she is proactive and interested in working for the company. In fact, many interviewers will carefully note if the candidate seems to be ignorant regarding the company they are applying to work for. In some cases, the interviewer may conclude that the candidate has simply engaged in a campaign of applying to a large number of organizations, without any real interest in working for any particular group. Most interviewers will not hire such individuals. The candidate should be as knowledgeable as possible about the interviewer. In addition to knowing the interviewer’s name, the candidate should try to learn about his or her current position with the company. By doing so, the PTA can more effectively determine how to make a good impression during the job interview. An interview is a two-way process, and the candidate should not be afraid to ask questions. In fact, many interviewers feel that candidates who ask well-reasoned questions are more likely to be the type of proactive employees they desire to hire. In addition, by asking the proper types of questions, a PTA can help steer the interview in a direction that helps showcase the PTA’s specific strengths. However, the PTA should avoid asking questions that indicate that he or she has not bothered to research the company. Such questions often irritate the interviewer and may convince him or her to refuse to hire the PTA. Ultimately, a job interview is an excellent opportunity for a PTA to demonstrate how he or she will benefit the company. By following these suggestions a PTA, whether he or she is an experienced healthcare professional or a newly licensed PTA, will be able to make a favorable impression at the job interview.